Before starting a new business or planning on launching a new product, a thorough market research is done. This research explains every aspect of the business, right from the target audience to the time it should be launched and the cost associated with the venture. The marketing research is also done to see if the conceived idea would sell or will be accomplished n the proposed budget or not. The document detailing the research is called the marketing research proposal. The market research proposal also compliments the investment proposal, as it proves why the investment will be well guarded and proves fruitful. To achieve objectives and gain success you need to know about every detail of the business venture being undertaken. The marketing research needs to be very detailed as it is an integral part of the business plan. The marketing research proposal can be done by the internal research and development department of the company or by hired research institutions. There are institutions who have done research on popular marketing strategies and their research can be acquired as well if need may be. The marketing research proposal template is available and can be selected and used as per requirement. Some of the available templates are very detailed and long and some are fairly shorter and brief. Your selection depends on the kind of business and product detail you want to be written in the proposal. A construction proposal is a document devised to offer the services of a constructor or a construction company to possible clients. A construction proposal is the study of a project and proposed strategies and budget to achieve that goal i.e. the construction of a building. 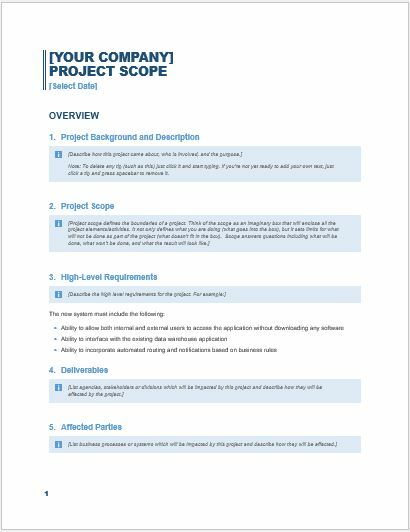 The proposal explains why your company wants to work on the given project, what skill set you have that would attract the client to choose your company and whether your company will be able to complete the given project on time and within budget. These points are explained with previous history and testimonials of the satisfied clients, calculations of the budget and statistical data and setting milestones for the timeline this project is to be completed in. The construction proposal gives details about the number of labor and constructors along with their labor charges. Every important detail of the project is discussed elaborately including the type of material to be used and the vendors providing the material. Also, the timeline is established in the proposal also. There are several templates that would guide you to make a professional and accurate construction proposal. There are some technical aspects that can make the proposal more effective and accepted and these elements are easily missed in most of the construction proposals but by using templates you can ensure that these elements are taken into consideration. This makes your chances of landing a job higher. These templates are designed by professionals who have expertise in writing technical and professional documents; hence they can be very helpful and guide you through this process. Proposals are essential for selling of services but writing a one that gets your clients to select you as their service provider requires skill. It is wise that professional help is taken before writing any such proposal. Graphic designing or web designing is a very creative job to do but writing a designer proposal is harder. As designing is a visual and colorful job, the designer proposal is also made as a colorful and visual document with color schemes and charts and graphic elements. Like all other service proposals, it has three main parts; a brief history of your qualification and skill set pertaining to the proposal, the brief overview of the problem as per your understanding and the solution you propose. The solution that is proposed is given in detail with tools and skill set that is to be used for the design. The proposed design and the timeline that is required. The expense is also written in detail with all the milestones mentioned in detail. A designer shows his aesthetic sense and talent using the designer proposal. It gives the designer a chance to show his talent as the design of the proposal makes the first impression on the future possible clients. A well designed and detailed designer proposal fulfills the professional requirements of a business proposal. There are a lot of different templates available for designer proposals, you can select the template that suits your company and color scheme. The designer proposal template can be in the form of a document or brochure whichever serves the purpose.